VCFA’s Heather Snyder-Quinn awarded the 2018 AIGA Boost Grant! Congratulations to current MFA in GD student Heather Snyder-Quinn and her DePaul AIGA student group for receiving the 2018 AIGA Boost Grant to work with the Adaptive Athlete Initiative. Heather teaches design at DePaul University and is serving as the DePaul AIGA faculty representative for her second year in a row. This is DePaul’s first time winning the grant. 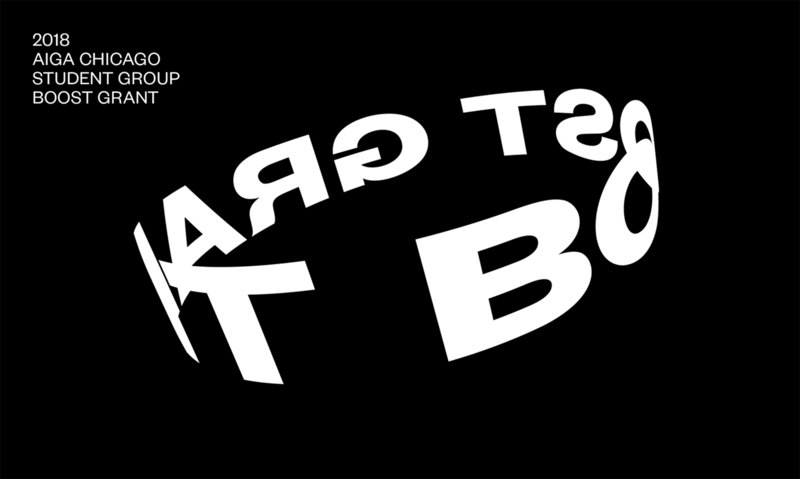 The Boost grant funds projects that employ design in meaningful, community-oriented ways—creating opportunities for design students to engage with the broader community. Adaptive athletes typically fall into six categories—spinal cord injury, amputees/limb-deficient athletes, cerebral palsy, visual impairment, intellectual impairment, and les autres (les autres sport classification is system used in disability sport for people with locomotor disabilities not included in other classification systems for people with physical disabilities). The popularity of adaptive rowing, which is rowing for people with disabilities, is growing. This makes rowing accessible to a community of people with many diverse gifts and mixed abilities. The growth is due in part to the fact that the indoor machine can be modified to help meet the needs of adaptive athletes, as opposed to the athletes having to adapt to the rowing machine. 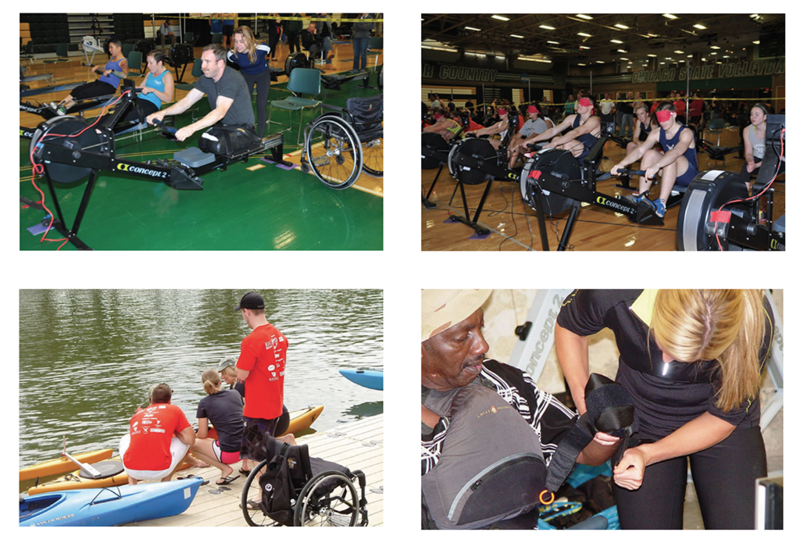 Although rowing is a growing sport for people with disabilities, very little has been investigated using ethnographic methods, including approaches oriented around design thinking, into improving these athlete-users’ experiences. Most adaptive athletes adjust themselves to existing equipment and situations; and they struggle, when in fact very simple design changes could drastically improve their experience. In the competitive sport of both indoor and on-water rowing, an individual does not need to adapt themselves in order to row; new equipment is needed that can adapt to the user. Heather is a lifelong athlete and a competitive rower, having placed 3rd in the Open Women’s 500 meter at CIRC in 2016. It was at this competition where she first met John Butsch, Founder of CIRC and The Adaptive Athlete Initiative. Heather’s design and teaching practice also involve accessibility and inclusion. She previously taught Universal Web at RISD with Hans Van Dijk under a grant from The Institute for Human Centered Design, and her clients include MIT OpenCourseware, Children’s Hospital’s OpenPediatrics and The United Nation’s Adopt a Minefield. 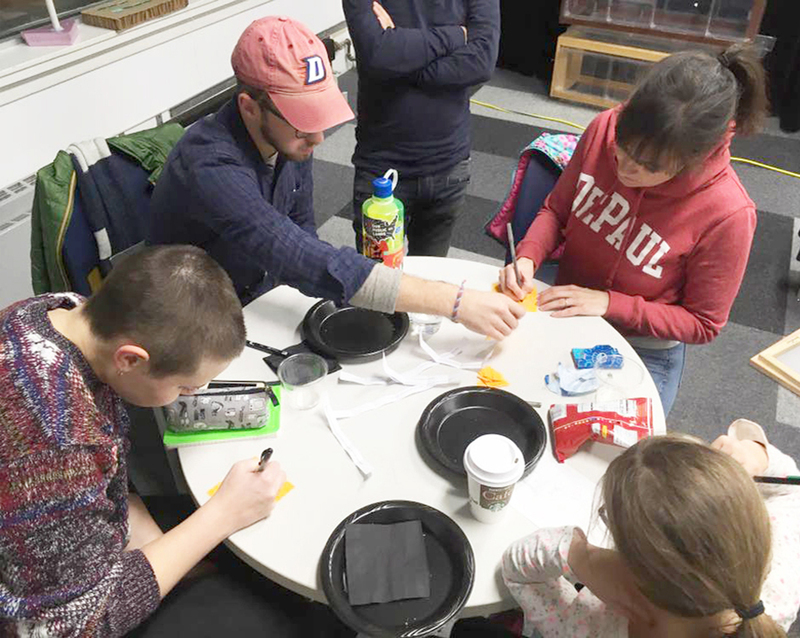 She and her students will be working in DePaul’s new Idea Realization Lab/Maker Space with other faculty who have a breadth of expertise across Product Design, Physical Computing, and UX Design. The project work takes place between February-June 2018 and will be disseminated in late June of 2018. Heather is currently pursuing additional funding so they can test physical prototypes in August at the 2018 Valor Games for Wounded War Veterans. 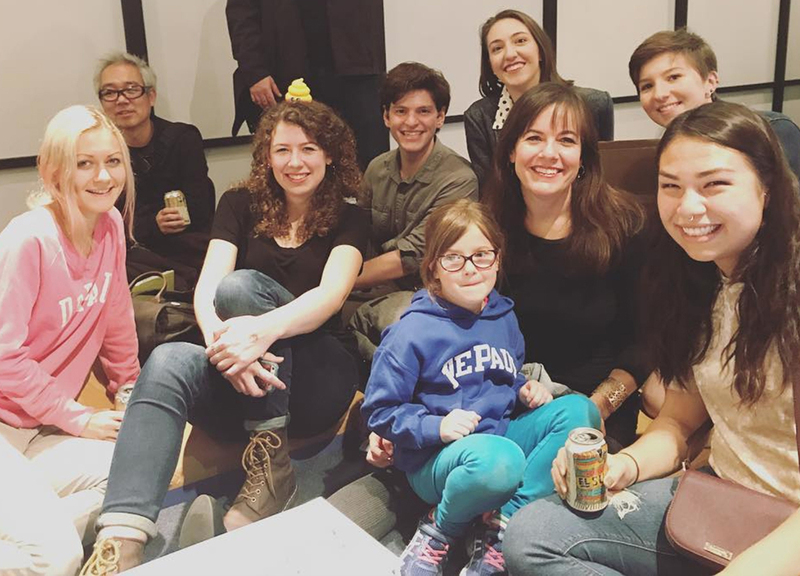 Heather’s 7-year old daughter attends an event with some of her AIGA students.